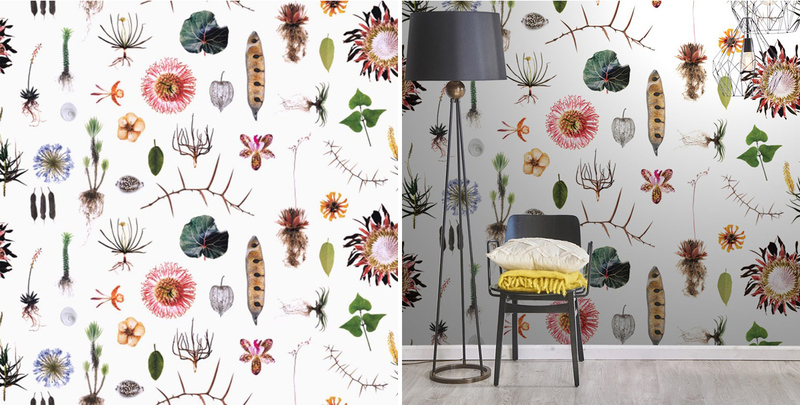 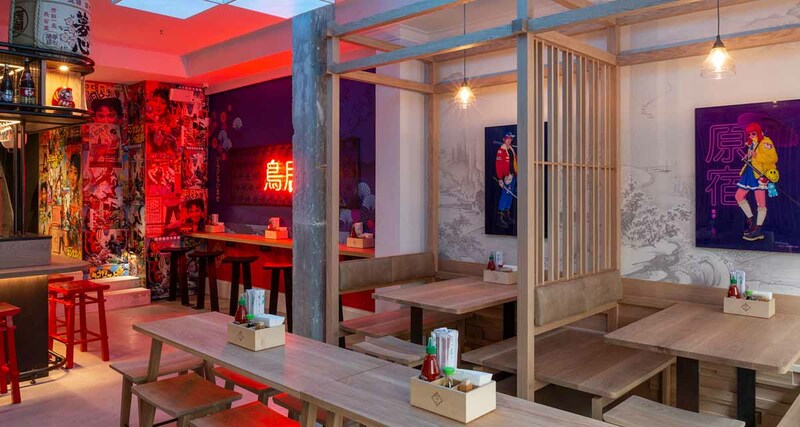 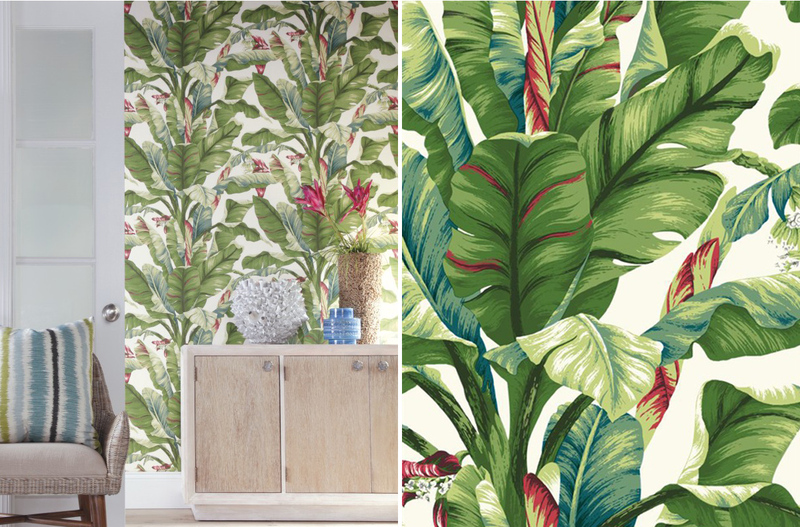 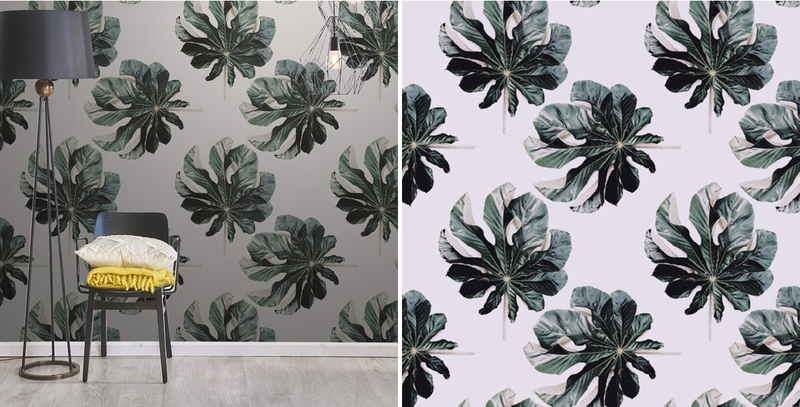 With our focus this month on interior design trends inspired by plants and botanicals, and our love of wallpaper, a round up of beautiful plant and botanical themed wallpaper was inevitable. 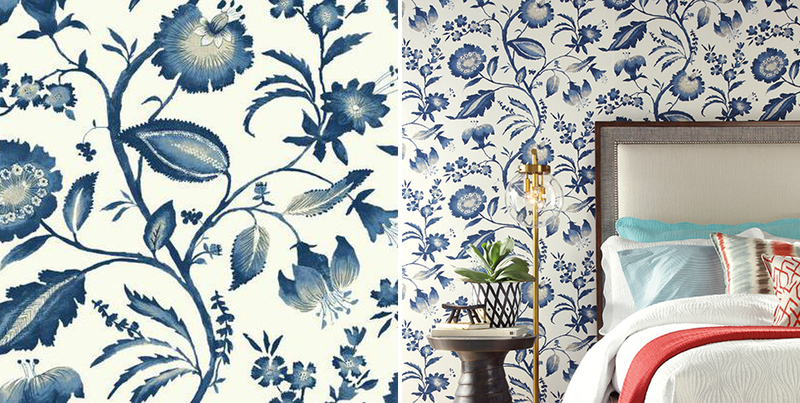 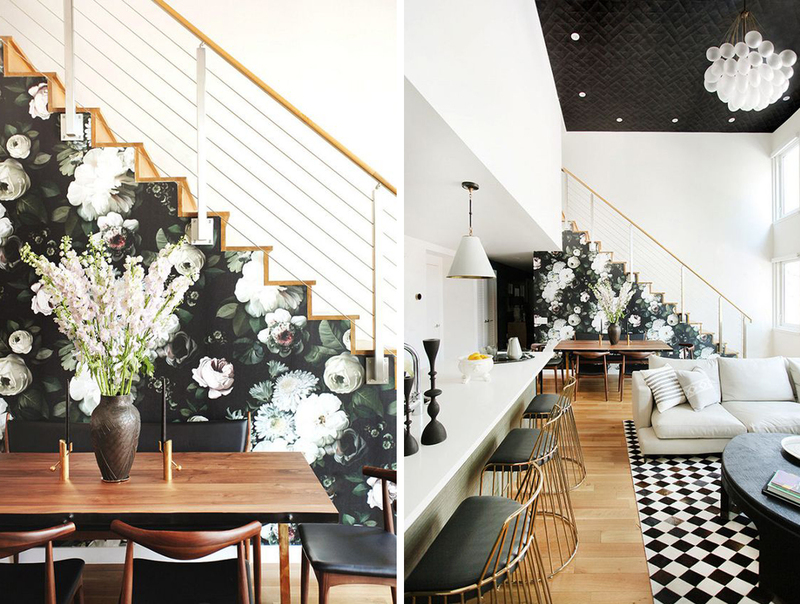 I find dark, bold floral wallpaper the best for extra impact. 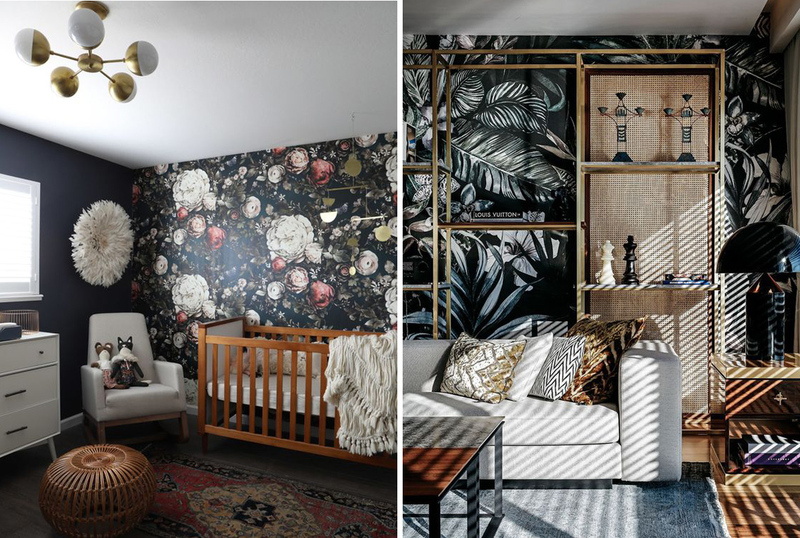 I love the statement the Ellie Cashman wallpaper makes in this open plan dining and living space, showing how a little goes a long way, while the nursery image is the perfect example of how dark dark colours do work well in small spaces. 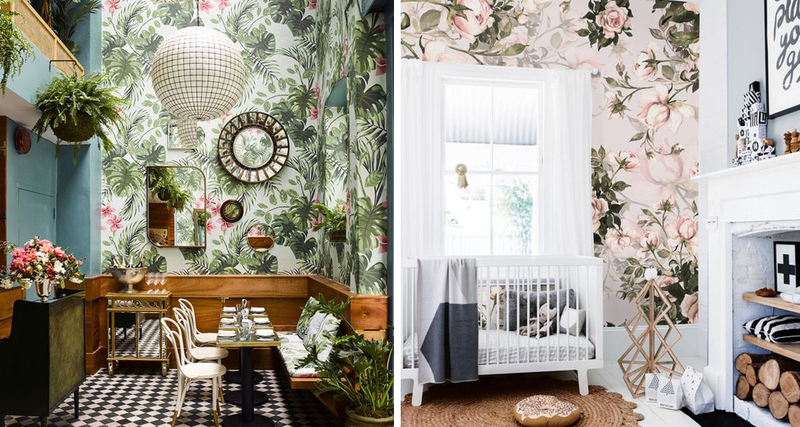 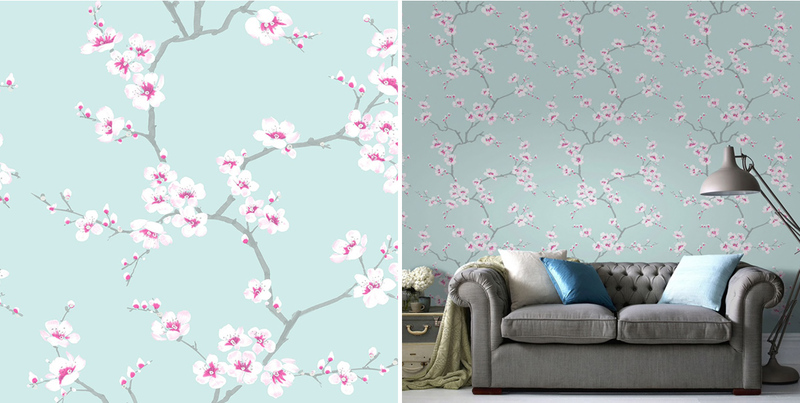 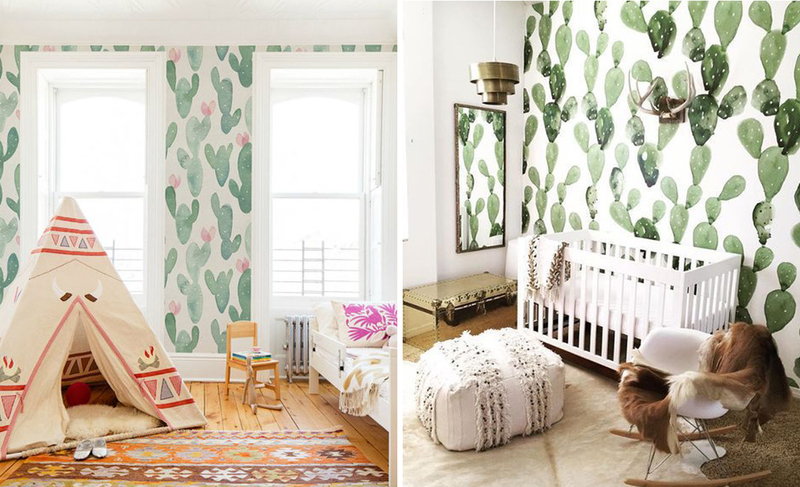 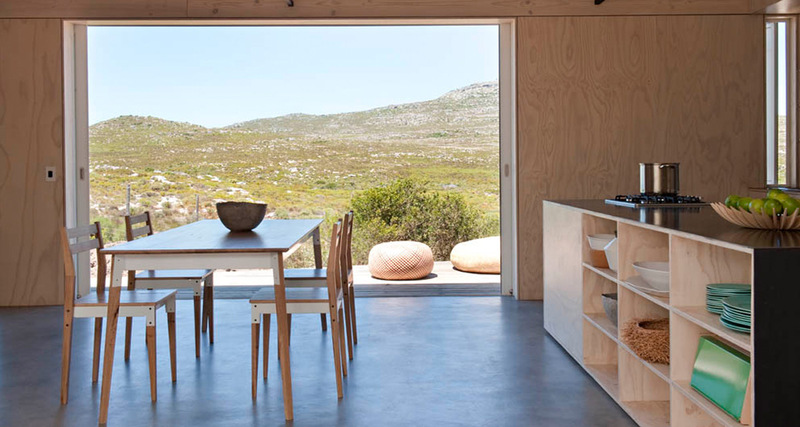 We’ve rounded up 10 local wallpaper options for you today!